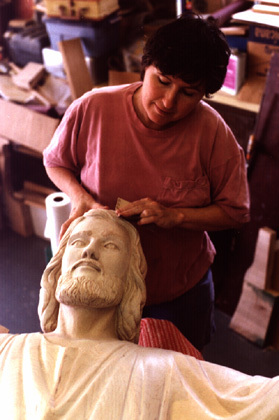 This Risen Christ statue is carved in maple wood. We like maple because it is stronger than the typical basswood that is used for a lot of statues. Actually the sanding and other finish work takes up a lot of the time. No matter how many tools one has, there are just some things which must be done by hand.